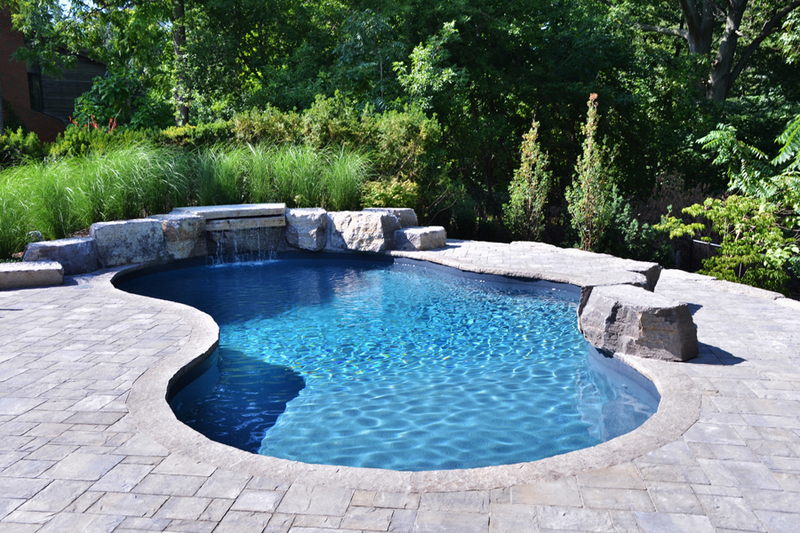 The Caughills Inground Pool showcases a beautiful colour palette of greens, blues, and greys. 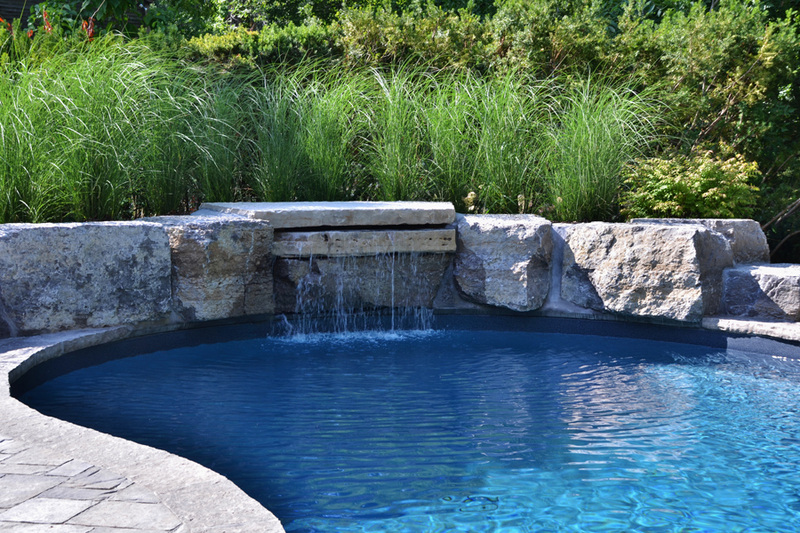 This elegant pairing of tones allows each section of the backyard to attract the eye, while pointing the focus towards the refreshing waters of the pool. 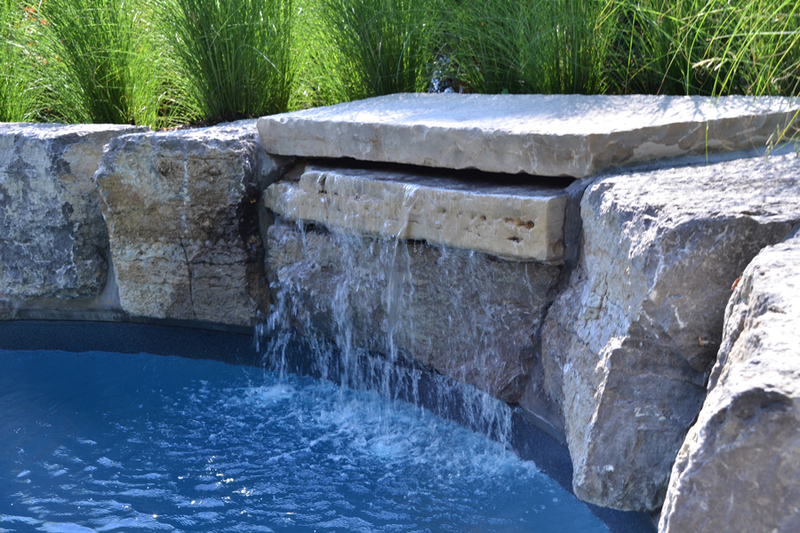 This incredible design features vinyl over steel steps that have been built into the interior structure of the pool to keep the shape consistent. 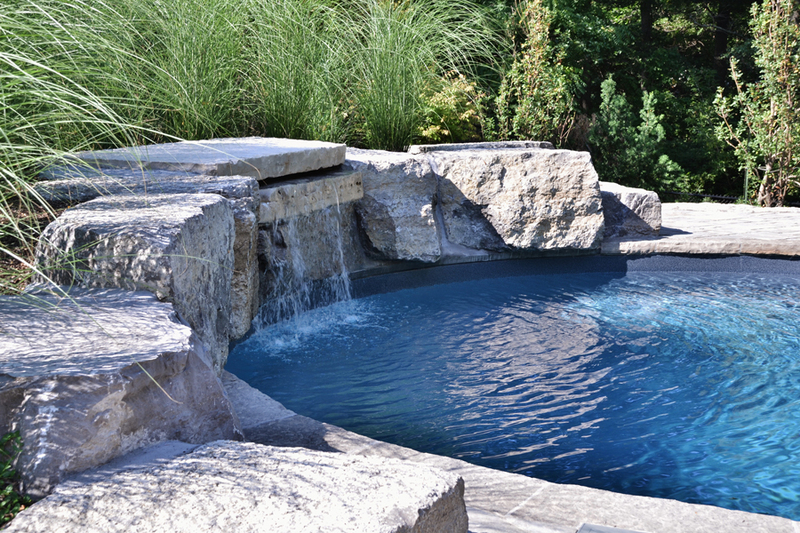 A wall of armour stone provides design stability on the right wall while the rock waterfall is surrounded by more armour stone to add to the already grandeur look. 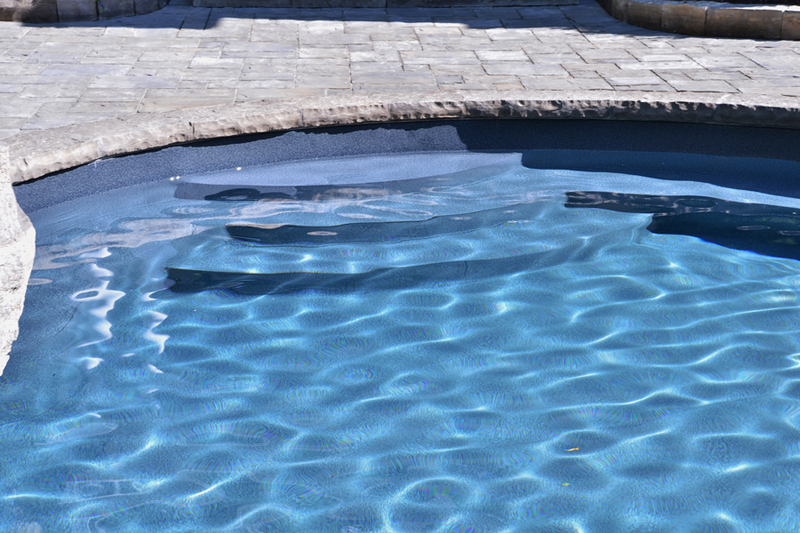 The rich blue liner makes the water irresistible during summer.